The Leon’s Trenton 2nd Annual Buy-A-Bed Campaign with the Trenton Memorial Hospital is officially underway! The epicenter of care, and a vital part of treatment for every patient at Trenton Memorial Hospital is a bed. It’s also the place where many patients will spend time with their loved ones. 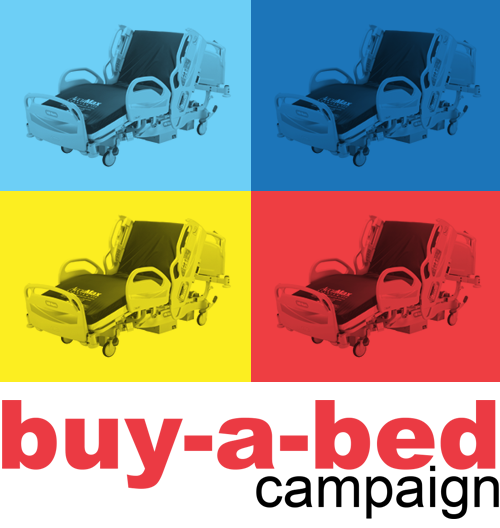 From Emergency Care to Inpatient Unit, Palliative Care and beyond, every area of the hospital has unique bed requirements in order to provide the most appropriate level of care tailored to a patient’s individual needs. With only 26 beds, it is absolutely vital that new beds be purchased and current ones be replaced with “smart bed” technology including alarms, nurse call systems, weigh scales, better patient positioning controls, and bed brakes, to enhance patient care, safety and comfort. We are absolutely blown away by the support and generosity this community continues to show. Last year’s campaign was a complete success. Together, we raised $32,000 – enough to replace four hospital beds! We need your help again to make this year’s campaign equally as successful. Our goal is to raise another $32,000 and purchase 4 new hospital beds. Leon’s Trenton has committed to donating $25 from the purchase of every mattress valued at $299 or higher to the Buy-A-Bed Campaign, benefiting the Trenton Memorial Hospital Foundation. Alternatively, donations can be made directly to the campaign in-store, or online.